Anno 1800 is a city building real-time strategy video game, which will be launched within April 2019 for PC. The Anno 1800 gameplay not only returns to the series’ traditional city-building and ocean combat mechanics, but also it introduces new aspects including tourism, "blue-printing" and the effects of industrialization influences on island inhabitants. In gameplay, players play a role of innovator at the background of the dawn of the industrial age, and players will start with practically nothing, they will create an industrial empire that will take us to the top of the modern age through trade agreements, investments in new technologies, political decisions and many other factors. Our only objective will be to build an empire that will stand the test of time. If you want to lead the industrial revolution, we 5Mmo.com offer you an easy way. 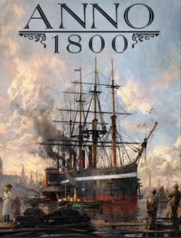 You can buy cheap Anno 1800 CD Key for PC, we offer unbeatable price with safe and fast delivery. After your payment, you will receive an unused key, which can be entered into the publisher Website in order to get a full digital download of the game. 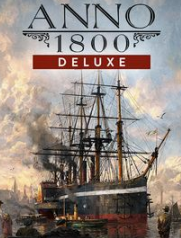 Hope you can build a new world in your image with our best Anno 1800 Uplay CD Key and Anno 1800 Steam CD Key.